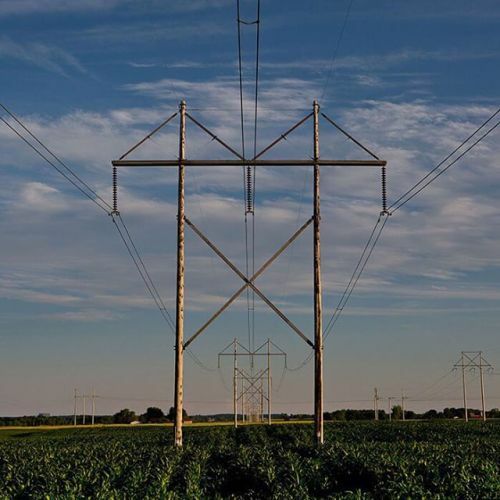 “Power lines reach across #cornfields near the Kewaunee nuclear power plant in Carlton, #Wisconsin. The plant is an 18-story tangle of concrete buildings, metal pipes and — deep inside — racks containing spent radioactive fuel. So why do some residents of Carlton say they will miss it when it’s gone? In 2012, the plant’s owner made a surprise announcement that it would be decommissioned as a result of economic pressures. It has been offline since 2013. Some residents have accused Dominion, the plant’s owner, of deserting them and taking away the revenue and hundreds of jobs that long sustained the town. @alyssaschukar took this photo on #nytassignment.” By nytimes on Instagram.